Edward J. McCaughan, emeritus professor of sociology, is the curator of “La Raza: The Chicano Movement and Photography,” one of three exhibitions commemorating the 50th anniversary of the great social movements of 1968 currently on view at the Centro Fotográfico Manuel Álvarez Bravo (CFMAB) in Oaxaca, Mexico. McCaughan selected 41 images by eight photographers who worked with the Los Angeles-based publication La Raza that was produced from 1967 to 1977. 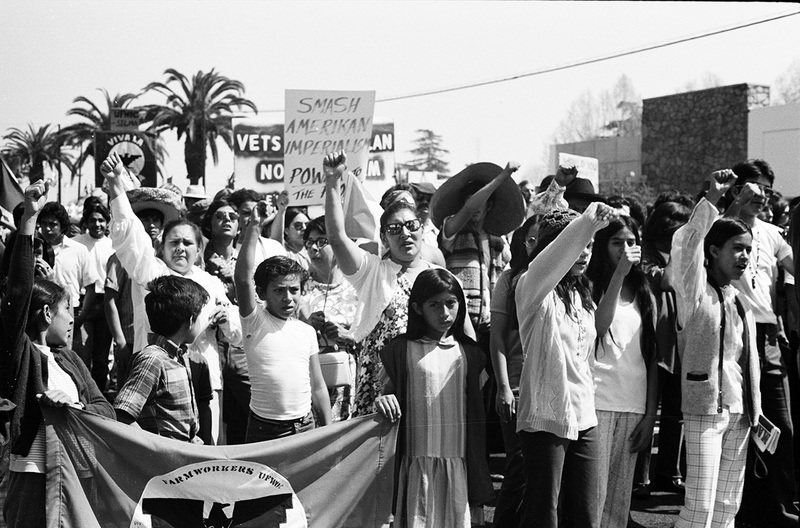 Student activism, including the famous high school student walkouts of 1968, the struggles of the United Farm Workers, protests against the war in Vietnam and police brutality, and the importance of photography in shaping Chicano identity are highlighted in photos by Pedro Arias, Oscar Castillo, Luis Garza, Gilbert López, Patricia López-Borjon, Joe Razo, María Márquez Sánchez and Devra Weber. Several hundred people attended the July 6 opening of this historic exhibition — the first of its kind in Mexico. The following day the public was treated to an enlightening and moving panel discussion by photographers Garza and Weber and movement veterans Armando Vázquez-Ramos and Olga Talamante. McCaughan lives in Oaxaca and has been working with the CFMAB for the past two years. The exhibition is on view through September 2, 2018. Pictured above: McCaughan at the Centro Fotográfico Manuel Álvarez Bravo. Photo by Mario Arturo Martínez/EL UNIVERSAL.